Skip counting by fives can be practiced in many ways - while enforcing other skills at the same time. For instance, use a pile of nickels to sort by fives. This not only helps with the this activity, but reinforces money skills at the same time. Check out my other skip counting pages, including fun worksheets and activities for counting by twos, threes, and fours. 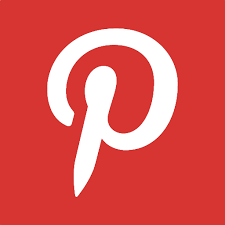 And, don't forget about the worksheets related to counting coins, as they reinforce practical skip counting skills that we can use in our daily lives. 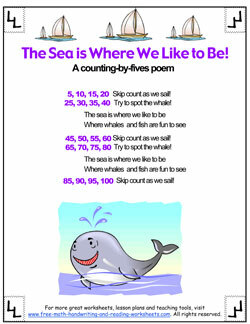 The first printable is a fun little poem that you and your child can read together. It teaches how to count by 5 and I highly recommend using your best pirate voice to get the full effect. 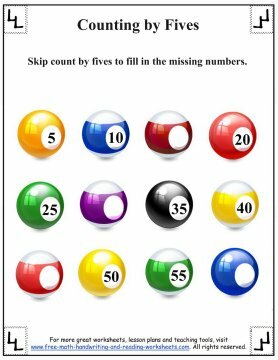 The next two worksheets show pool balls with missing numbers on them. The numbers start at 5 and go up to 60. Have your child count by 5's to fill in the missing numbers. 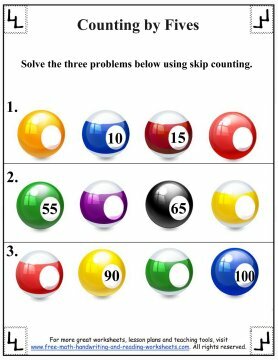 The last two worksheets are similar, but instead of numbers ranging from 5-60, there are three rows of pool balls. The concept is the same, fill in the missing numbers, but the task is a bit harder as your child will have to determine the numbers instead of simply counting up by fives. 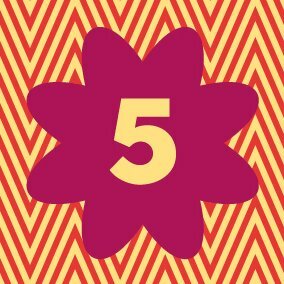 When you're done teaching your child how to count by fives, be sure to continue on with the lessons below or review the previous unit on fours.